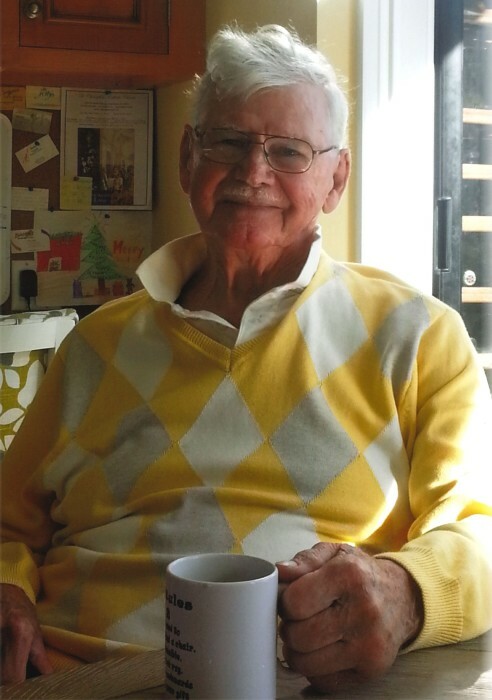 Martin (Marty, Buddy, Uncle Bud, Padre or Grandpa) John Dowd, 87 of Youngsville passed away Thursday April 3, 2019. He was born January 6, 1932 in Bronx, NY, the son of Patrick and Ida Dowd. After graduating from All Hallows High, Catholic School in the Bronx, NY in 1949,he attended the Seminary for a time. In 1951 thru 1954 Marty served in the Marine Corp (from Private to Sergeant) until discharged honorably. He served during the Korean War, but remained stateside and spent the majority of his time in Camp Lejeune, NC. He is a graduate of Iona College, in New Rochelle, NY, a Catholic/Irish Christian Brothers school with a BBA in Finance. From 1958 through his retirement Marty was employed by the US Government in nuclear security-related activities. The Atomic Energy Commission, Energy Research & Development and the Department of Energy, ultimately retiring with distinguished accolades as the Acting Director of the Office of Safeguards & Security HQ for the US Department of Energy. consultant for several more years. He was a devoted Catholic, Husband, Father and loving Grandfather of 15 grandchildren and 2.5 great grandchildren. who thoroughly enjoyed spending time with the ones he loved especially on the beaches of the OBX. Marty and Alice built their retirement home in Southern Shores, NC where they resided peacefully for 14 years creating many more friendships and was blessed many more times with many more grandchildren. Later in life moved to Youngsville, NC indulging in their love of gardening, reading and his odd do-it-yourself projects. He loved sitting on his front porch waving to all his neighbors, who all quickly grew to love him as we all do. A visitation will be held from 5-7 pm Thursday, April 11, 2019 at Bright Funeral Home 405 S. Main St. Wake Forest, NC 27587. A funeral mass will be held at 11:00 am on Friday, April 12, 2019 at St. Catherine of Siena Catholic Church in Wake Forest, NC. Interment will follow at Wake Forest Town Cemetery. A reception will follow the interment for attendees back at St. Catherine of Siena Catholic Church.